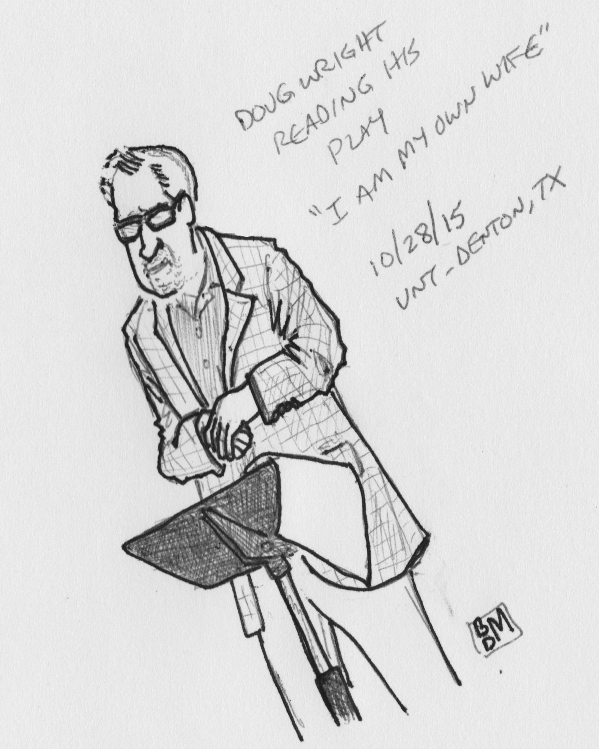 I had the pleasure of hearing playwright Doug Wright speak the other day at the University of North Texas. He read from his Pulitzer Prize-winning one-person show I Am My Own Wife. During the post-reading discussion he mentioned an interesting tidbit that is specific to solo performance works. In traditional playwriting, with multi-character plays portrayed by multiple actors, it is considered hackish to put in really flat, purely fuctional characters. These characters show up as waiters or waitresses, bank clerks, people waiting at a bus stop, and so on. They don't have complex, rounded personalities, but instead are in the play in functional roles. They serve as minor little catalysts. The waitress establishes that the other, probably main characters, are at a restaurant. 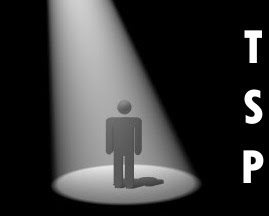 Actors hate playing these purely functional roles. Wright labelled them "functionaries." A really capable playwright would make these functional roles gifts for actors and add at least a little depth and background to them. On the other hand, in his play I Am My Own Wife, he pointed out that despite the fact that it has over 30 roles, some of the characters that show up only appear for a single purpose, do their job, then disappear. They are purely functional. He went on to imply that one can get away with this in a solo show because the actor performing it has enough to deal with. A solo actor playing multiple roles doesn't need a gift of all the characters being super well-rounded. A charcater can come in and be functional and the story keeps going.